The Rebel Sweetheart. : Wordless Wednesday #80 | Shut-Eye! Adorable! :) Thanks for sharing! Aww! he looks quite comical laying there with that mask on heheh! Awesome! My boys would love that mask! What an adorable photo! Enjoy the rest of your day. That's so cute! I forgot about sleep masks. So peaceful when they sleep. Awake is another story. That's a really cool tee shirt too! So cute my daughter uses those too! such a cool kid! 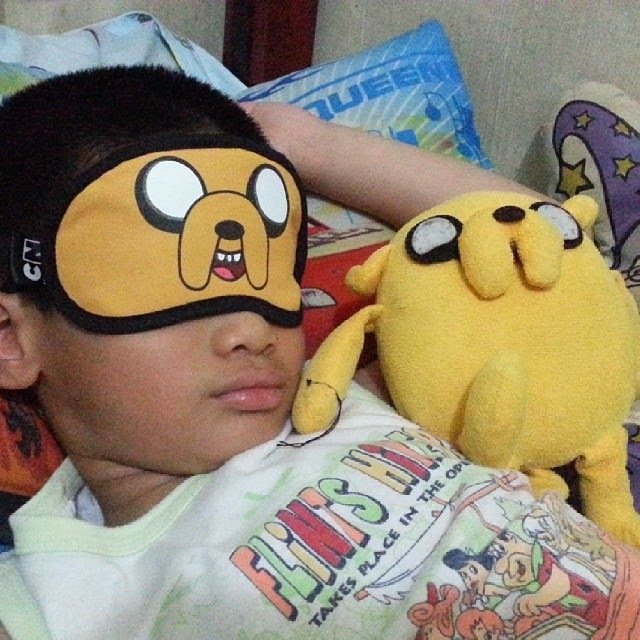 :) did he watch adventure time live? ?